Sydney’s weather can be very unpredictable. We have dry spells, wet weather, extremely hot and humid conditions which can be followed straight away by very cold and windy weather. The term dehumidify can be broadly defined as removing moisture (see here (http://dictionary.reference.com/browse/dehumidify) for other definitions). The dehumidification process is thus described by Khemani (2009),( http://www.brighthubengineering.com/hvac/41505-psychrometric-processes-cooling-heating-and-dehumidification/) as the process where moisture, water vapour, or humidity is taken out of the air, keeping the temperature constant. Good quality and inexpensive Sydney dehumidifiers can be difficult to find. Dehumidifiers can come in a range of sizes, from tiny moisture absorbing sachets included with some food items (eg. wraps & tortillas) to large electric dehumidifiers used to dry commercial properties. Dehumidifiers in Sydney homes often require something between these two sizes. Pingi dehumidifiers are fantastic for the home, boat, caravan or car as they come in 3 sizes to accommodate a range of areas. Sydneysiders have busy lives. Work, commuting, socializing take up a large portion of their day. When they get home, they often don’t feel like cleaning. Having Sydney dehumidifiers in your cupboard will help to reduce your household chores considerably and allow you more time to relax. As one season comes to a close, you will start to take clothing out of the cupboard for the following season. Whilst washing the items before putting them away, you may find clothing do not necessarily remain fresh. 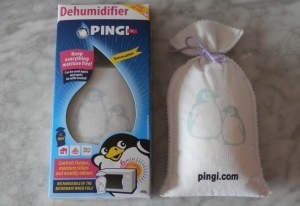 This comes to one reason I really love the Pingi Sydney Dehumidifiers. Just pop in a medium or large Pingi moisture absorber into the cupboard with your clothing and linen and it will help it to remain fresh and clean. Sydney Dehumidifiers are effective, inexpensive and user friendly are worth getting as they will last the test of time and keep your beloved possessions fresh and clean. Worry no more about musty smelling and mouldy clothes and bedding as Pingis will absorb any moisture from cupboards and wardrobes! Order at our shop today!